Home / Featured Products / OMG Amazon Price: $39.99 Our Price: $29.99! 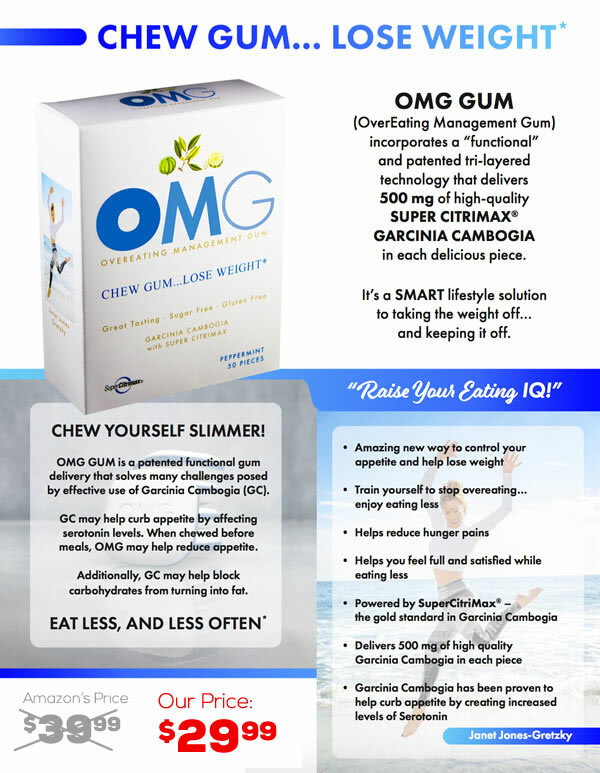 OMG is an appetite suppressant in gum form, featuring 500mg of Super Citrimax Garcinia. Chew 1 piece on an empty stomach, 20 minutes before your next meal for best results. Current OMG users, we want to hear from you, and Meg Farris of WWLTV wants to hear from you too! Just reply to this email and tell us what you think of OMG and you may be featured in a WWLTV segment next week!